The 228i Coupe is the entry-level vehicle in BMW‘s 2 series line-up, offering rear wheel drive and compact size. Powering the 228i is a 2.0 liter four cylinder that produces 240 horsepower and 255 torques. The 228i isn’t exactly a lightweight at 3334 pounds, but according to a recent review by MotorTrend, it gets along just fine. Check out some highlights from MotorTrend’s review. Despite not having a substantial weight advantage, the 228i does feel sprightlier than the four-cylinder 3 Series. The power is more than adequate to propel the dimensionally smaller 2 Series, and as always the eight-speed automatic transmission makes the most of that power. Whether I was maneuvering through freeway traffic or pulling into a narrow parking spot, the 2’s smaller size made a noticeable difference. That extra awareness instills more confidence when attacking curvy on-ramps, allowing the driver to really push the limits. And with the 2 Series’ competent chassis, those limits are relatively high. Turn-in is sharp and immediate, and the car will hold its arc without much fuss or noticeable body roll. Part of this can be attributed to the M Sport model’s Adaptive M suspension, which includes electronically controlled shock absorbers. Brake feel is confident and linear, which could have something to do with the $650 M Sport brakes, an optional package that adds larger rotors at either end, along with blue-painted calipers. The interior is styled in typical BMW fashion, and resembles that of a scaled-down 3 Series. The sport seats that come with the M Sport package provide excellent support, with plenty of side bolstering to keep you in place when the need to carve a few canyon roads arises. Back seat passengers won’t be terribly uncomfortable either. 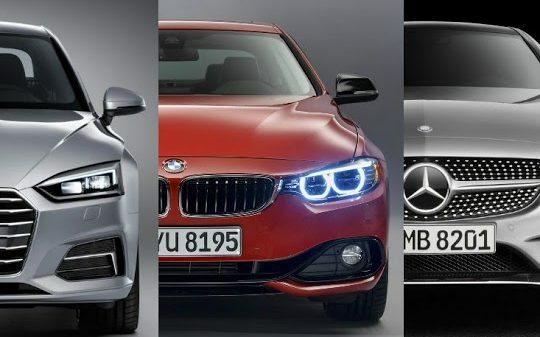 The bottom line is that the 2 Series is a huge win for BMW enthusiasts everywhere, and even if it isn’t the reborn 2002 that BMW’s marketing campaign says it is, it still marks a return to form for the roundel brand.